Life is full of uncertainties. Risk lurks in every nook and corner of human life. In short, life is unpredictable. We need to be prepared for such circumstances. Leading a happy life, involves good planning and analysis for your personal health. Accidents do happen and you need to be prepared for such situations. In times of high health cost, you need to get covered for health risks. Health insurance comes in handy in case of severe emergencies. The term health insurance (popularly known as Medical Insurance or Mediclaim) is a type of insurance that protects you and your dependents against any financial constraints arising on account of a medical emergency. It sometimes includes disability and long term medical needs. In Mediclaim, you pay a premium and in return the insurer commits to pay a predetermined sum of money to meet the claims. Most insurance companies have health plan options that allow you to choose from among health insurance policies that have lower monthly premiums if you consent to pay more out-of-pocket costs, such as a yearly deductable and copayments for services and prescription medications. 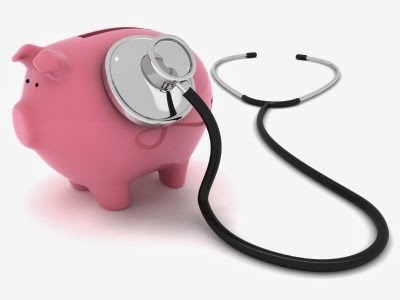 If you are healthy and do not anticipate any medical spending in the coming year, choosing a plan with larger out of pocket expenses may make sense for you. For some consumers, buying health insurance is the only health coverage option. However, some of them may still be an option to save money. Saving :-Along with the support of medical care that a policy provides, it is also important to note financial benefits that it gives. You save in two different ways with a medical insurance policy. Firstly, you save on the cost of treatment, which can include the cost of hospitalisation, pre and post hospitalisation care, cost of expensive diagnostics etc. Secondly, the Indian government gives heavy tax benefits in the form of deductions and exemptions from the total taxable income to anyone paying premium towards a mediclaim insurance policy. If you have two mediclaim policies, one for your family and another for your parents, then you can get a sizeable tax deduction from your total taxable income. Security : Health insurance policies are plans that are designed to be used when you have any health related problem. A health care insurance policy can be thought of as a contingency plan made to make things easier for you when the going gets tough. A policy not only protects you, but your whole family. The best health insurance companies offer "family floater" plans. A "family floater" plan can cover two adults and two children and comes out to be more efficient than four individual policies for each family member. Furthermore, best health insurance policies should include other bonus features such as "cashless hospitalisation", free health check-ups, inclusion of pre-existing diseases etc. Support for emergencies: In emergency situations that are the hardest to control because you do not know when, where and to whom it might happen. The mediclaim insurance companies have come up with plans on how to tackle emergencies and make it easier for you, and has also come up with the clause of "cashless hospitalisation”. This feature allows you to get hospitalised without the hassle of cash. This is a especially designed feature for emergencies where it is quite impractical to expect a patient to withdraw cash from a bank before heading to the hospital to get admitted. All you have to do is check whether the hospital you are headed to is on the panel of the medical insurance company or not, pick up your health card and get admitted. Peace of mind: Stress is the number one enemy of health. Stress makes your immune system weak and makes you vulnerable to all kinds of health trouble. With all these benefits of a health insurance policy in your pocket, you can be sure that you can handle anything that life has to offer. You can relax and breathe easy. No more will you have to fret about medical bills or worry about your and your family's future health. In case an individual is taking the deduction, the medical insurance policy can be take in the name of any of the following: the taxpayer or the spouse, parents or dependent children of the taxpayer. However, before buying a health insurance policy, plan your requirements carefully. It will save you from buying a policy which might not be appropriate for you and can also be expensive. That is where Bajaj Capital Insurance can help you by allow you a range of insurance policies.